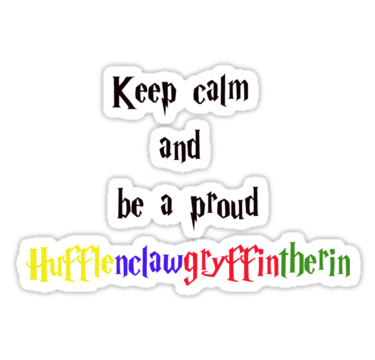 Keep Calm and Hufflenclawgryffintherin On. . Wallpaper and background images in the Harry Potter फिल्में club tagged: harry potter hufflepuff ravenclaw gryffindor slytherin.